Could Iman have pulled off Anna Wintour’s floral Chanel at the MET Gala on Monday? How is what you’re wearing Punk, Iman? It’s not. I married David Bowie. If you’ve not seen this yet, you’re about to experience a love explosion. It’s Bowie’s video for The Next Day, directed by Floria Sigismundi, who also directed his The Stars video. Sigismundi then worked on Justin Timberlake’s Mirrors video. Click here to read my timeline on how JT is constantly trailing the Thin White Duke. This time, instead of Tilda Swinton, Bowie’s with Marion Cotillard and Gary Oldman. It’s over. Everyone else go home. And you know what? Ahem, Pipsqueak. It’s less than 3 minutes. NB. Bowie provokes, naturally. So heads up if you get offended by religious imagery. Or the satirisation of it. 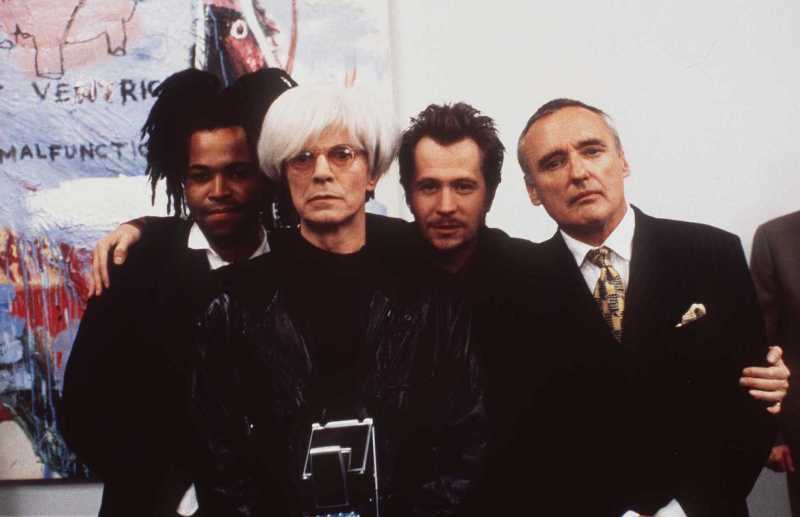 Also attached -- a shot of Bowie (as Warhol) and Oldman with Jeffrey Wright and the late Dennis Hopper back in 1996 for Basquiat. Have you seen it? If not, iTunes or Netflix it tonight!